The chat around ‘green’ technology is constantly evolving. It’s not just because electric hybrids are becoming rather commonplace on our roads, but also because the definition of what makes a car, or even just features of a car, green is evolving too. 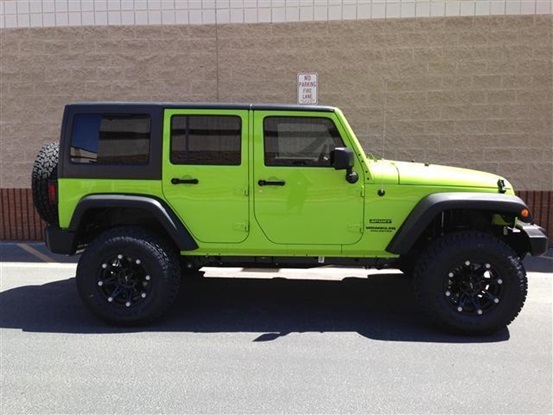 Take for example Jeep’s Wrangler 4×4. Not a traditionally green car, is it? But after improvements in its fuel efficiency you’d be wrong to jump to such a conclusion. According to a study done by US-based CNW Marketing, because the car is made from tested engineering methods, no chemicals and few modern materials, it’s cost per lifetime mile (which factors in fuel consumption, emissions, materials used in production, energy used in scrapping and recycling potential) is surprisingly eco-friendly. Put simply: Jeeps are made from mostly traditional materials and they have long lifespans, reducing their environmental impact over many years. That might seem quite surprising to anyone who thinks the only way to be green is to go electric, but the truth about the automotive industry is that environmental consciousness is nuanced in more ways than just a lithium-ion battery. Ford Motors is leading the way internationally in implementing sustainable production methods and in 2012 and 2013 included 50-75% recycled content in the headliners of the U.S Ford Fiesta, Econoline and Super Duty models. The list of small victories goes on for the automaker, including Explorers with noise-dampening parts made from recycled F-150 steel, seat foam made with soy oil, recycled denim scrap from apparel production used in sound-absorption materials and recycled-content carpets. The pursuit for a lesser environmental impact goes on for Ford in 2014 with an announcement that it has begun working in collaboration with the H.J. Heinz Company to turn tomato fibers into sustainable bioplastics that could be used to manufacture car parts. The fibers would come from the stems, seeds and skins left over from Heinz tomato sauce production and contribute toward Ford’s goal of reducing reliance on petroleum-based plastics in its vehicles. Doesn’t that give a whole new meaning to the term ‘fried-green-tomatoes’! Other manufacturers are also thinking laterally on how to help mother nature, including Nissan’s dirt proof paint hoping to reduce water consumption by eliminating car washing, and BMW’s polyurethane-coated Spandex skin potentially reducing the layers of paint on a vehicle. But it’s not just the secretive research and design labs of the largest automotive companies in the world that are helping cars to be greener, as surfboard manufacturer Gary Young demonstrates. Young has been implementing bamboo in his surfboards and believes that the highly sustainable plant could be used in car making to replace carbon fiber parts. It’s much cheaper to harvest and is truly renewable with some species capable of growing more than a metre a day. The deepest shade of green however might be the Mitsubishi i-MiEV, Australia’s first volume produced electric car. 100% electric, light weight, with inbuilt power generation and regenerative breaking, the little plug-in pocket rocket is green to its core. It’s pitched by the Japanese manufacturer as small but clever for those wanting to zip about the inner city, but as you now know, there’s a shade of green for all shapes and sizes and you might even be driving in one already.